Being a small but extremely busy restaurant, we do our best to get everyone in we can. Reservations insure that we will have a table for you! If the seating/time option is not available online please call (989) 720-5852 and the Host/Hostess will work out the best option for you. Prefer to make your reservation via phone? 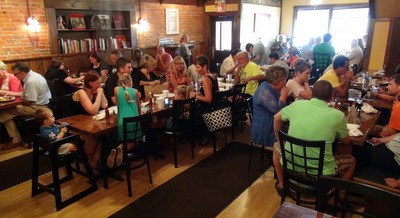 You can make a reservations by calling (989)-720-5852. Call (989)720-5852 to reserve your spot!